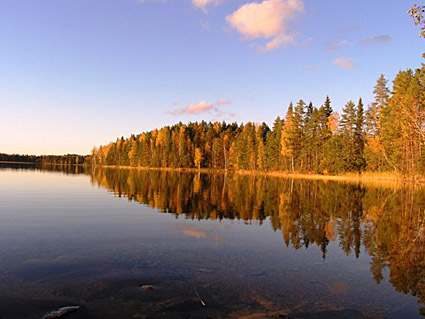 61 km east of Jyväskylä, L.Jänkkäräjärvi 80 m (length 3.3 km, width 800 m), shallow, hard sand bottom, own boat. 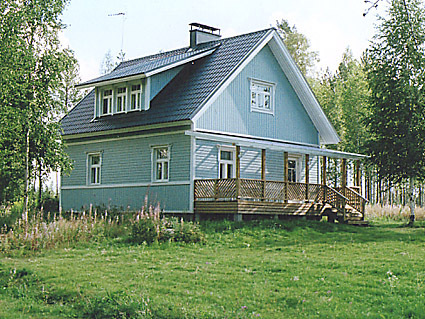 Wooden chalet 1938 renovated 2005 2 floors: downstairs kitchen, living room, bedroom 2 beds, hall, washroom, sauna (elec. 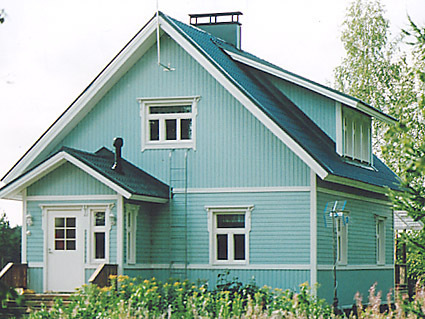 stove), glazed porch and open porch: upstairs bedroom 2 beds, bedroom 4 beds. 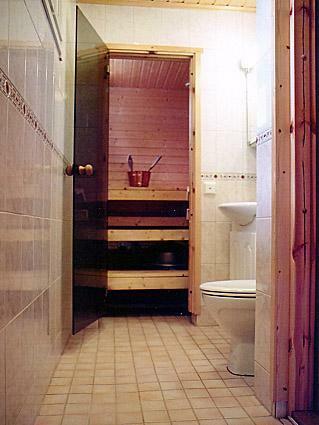 Separate sauna building (30 m²) with room with fireplace, wood-burning stove, sauna has elec. light. Sauna is 30 m from shore. Extremely peaceful location, neighbours not visible. Level, grassy and sunny plot. Swimming beach ideal for children. 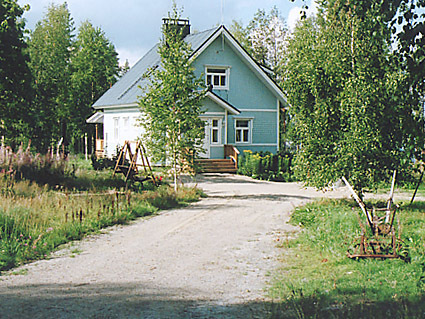 Nearest ski trails at Häkärinne, distance 10 km. Hankasalmi 20 km, Revontuli Golf 14 km. Owner rents out electric outboard motor, hot tub, 3 bicycles, snowmobile, snowshoes and walking poles. Check in/ out Friday.